Many students find it challenging to transition from one school to another — and this year the freshman class faces just that, especially when Emmaus High School is nearly twice the size of middle school. 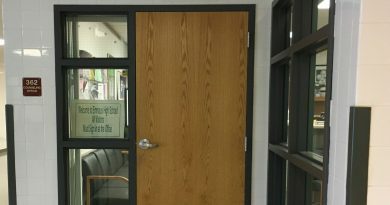 They may understand the flow of traffic in and out of the halls, but some still have unanswered questions. 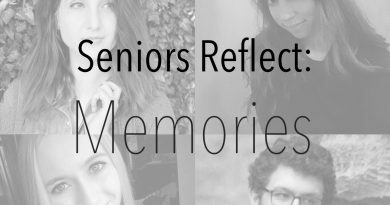 The senior class of 2019 wanted to share their experiences and advice to help the newcomers feel more comfortable. Freshman Sophia Candy: What’s a fun club to join? Senior Daniel Capri: Join Mud Club. If you don’t have time in your schedule to join an art class you can go after school on Tuesdays. It’s a ceramic based club and we work on projects just for fun. It’s a good opportunity and you should try it out. Freshman Cole Faurl: What does a hornet ambassador do? Senior Dylan Keenan: [As a Hornet Ambassador] I do tours over the summer for freshmen and newly enrolled students, so when they come to school they know where their classes are and when they come into the new school year they are comfortable. We do other events like parent-teacher night and volunteer for other school functions. Freshman Alyssa Brader: What’s the most important lesson you learned in high school? Senior Chad Walsh: You just gotta take chances. If you miss out on something you’ll regret it. I wish I was more involved with the school and joined sports like wrestling. Regret something you did do rather than what you didn’t do. 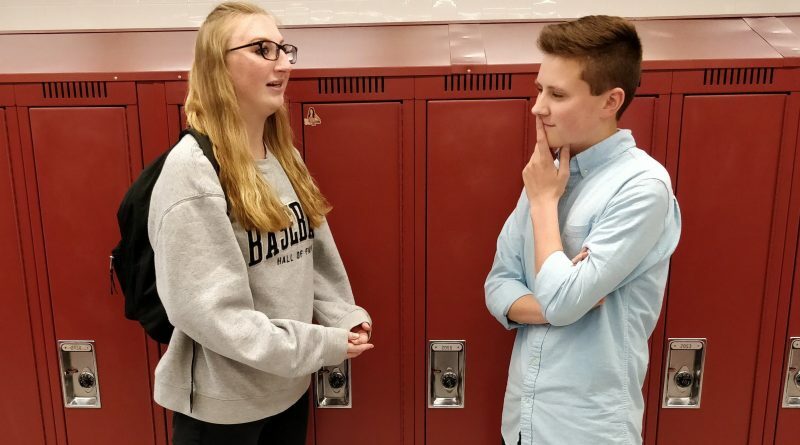 Freshman Alex Lease: Can a freshman go to homecoming or prom? And what do we wear and do there? Senior Sydney Souliere: Yes, any grade is welcome to go to homecoming as well as the winter dance, snow-glo. All you do is listen to music and have fun with your friends. Girls can wear dresses and guys can wear ties. Freshmen can’t go to prom unless there’s an upperclassman you’re going with, like a junior or senior. Freshman Debra Hoff: What is the class election and what so the class representatives do? Senior Anuj Arora: Each year the elections get more competitive because everyone wants a good senior prom. People have made campaign buttons, shirts, and hung up posters around the school. As treasurer, I basically keep track of our financial situation and sign a bunch of papers. We all split up the work, but the president oversees everything. We plan prom and the senior activities. We do a lot of work and have meetings every Wednesday, but it’s worth it. Freshman Thomas Hartill: What was your fave class in all four years and what classes should I take? Senior Sabino Basso: Definitely public speaking. Not because Mr. Speicher teaches it, but it’s the vibe in the class that makes it so great. Freshman Aedan Whalen: Does the school work get harder as the years go by? Senior Adrian Delgado: Yes, because they expect more as the student gets older. My hardest year was the junior year. You start applying to colleges, and it’s the last year to really get your grade up. Everyone gives 100 percent that year, and I don’t know a junior who doesn’t. Freshman Sarah Sherman: How do you balance school work with extracurricular activities? 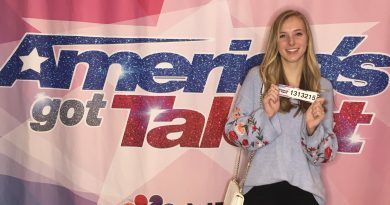 Senior Hannah Palinkas: Well, I definitely used my study halls to the best of my advantage. And if I need help with anything I ask my teachers right away. If I have a busy week, I usually get all my work done earlier in the week. Freshman Hannah Tigar: What was your best year of high school and why? Senior Josh Rotkiewicz: I’m gonna have to say my junior or sophomore year. I felt like the school trusted me a lot as a student … and there were a lot more activities like prom and things of that nature. As a freshman, there’s more pressure like trying to find your way around and fitting in, but now it’s more relaxed and I don’t feel that pressure. The senior class strongly suggests studying more since the workload increases from middle school and the tests get harder. Arora advises freshman to get involved in school activities, not only to make memories but also to have a few things to put on a college resume.